Where do you begin to describe somebody that’s been part of your life for a very long time, but has now moved on to their Heavenly home? It doesn’t seem right that they would have such a large role in your life, only to leave you with a life that now seems so empty without them. Their portion of your universe, as you knew it, was so large that now your life has a huge hole that nobody or nothing can fill. You may not have even realized how much they meant to you until they are no longer here. That’s been my situation with my friend, Louise. 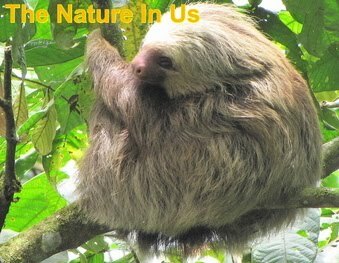 She came into my life in 1986 when she replaced my initial Nature's Sunshine sponsor. I had a home business sharing natural health principles and supplements, our son was six, my parents had just died within six months of each other, and I had begun home-schooling. The first thing you would discover about Louise is that she loved the Lord and she believed and promoted Scripture as the cure-all for all of life’s ills. She passed out Scripture cards like teachers pass out homework because she knew without the Word, there weren’t enough herbs in the world to heal anybody. Her countenance provided evidence of what God’s Word did for her. She was always smiling and full of joy and peace to share with anybody that came her way. Louise had nothing greater to do but to sit and listen and offer kind words, reassurance, and a dose of the Bible as a balm to ease all of life’s woes and worries. She hadn't had an idyllic life to rejoice over. 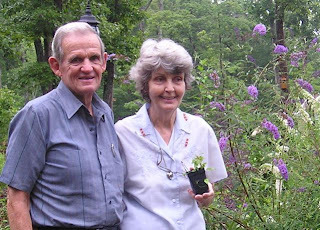 She had many childhood struggles, health challenges, had been a widow with three boys that were now “wayward” and was dedicated to a life of prayer for those children and grandchildren in less than optimal situations. Enough to make anybody give up, but for Louise, it was only more reason to lay before the Throne in Faith. It only took a short time into any conversation with Louise to know what her earthly treasure was - a man named Charlie. He came into her life when she was a widow and they began using Nature’s Sunshine Products in 1978 because Charlie had colon cancer. They beat the disease and many other personal health challenges. Louise’s love for people has left a heritage of hundreds of thousands of people helped because she shared the Good News of Christ the Healer and the good news of natural remedies. God gave her insight and wisdom for many situations that seemed hopeless. And now ... she’s missed by those earthly crowds, all of us having to reconcile how to handle the loss. The only thing that can fill that gap is to recount the memories and treasures of the legacies that she left behind that are now so ingrained into my mind. As I review them in my heart and soul, they come alive to mend and fill in the empty space I now experience without her in my life. Many times you don’t realize how important some people are in your life .. until their gone. They were always there ... and you expected them to always be there. Your mind overflows with things you wished you had said ... time you wished you had spent with them instead of making the ‘tyranny of the urgent’ rule your days. If you have images of people flashing through your mind, write down their names and choose to change your lifestyle to something more in tune with your heart's desires. We were able to see Louise and Charlie three times last year. Living 630 miles apart, that’s not too bad, and I even talked with her a week before she left us. But it’s never enough. I crave so much more of what I gained from her that no amount of time would have made it any easier to let her go. Now is the time for all of us to review the lessons she taught us while we watched her live, and to determine to do what we all say we’d like to do ... slow down and spend more time with the important things in life. Louise never considered anything more important than people and we could learn a lot from that since Jesus had the same focus. She was like a personal cheerleader urging you on to win at this game of life and plant seed in people’s lives where ever you go. Those are big shoes to fill, as my Daddy used to say. If she alters my focus only a few degrees, how much better my life will be. 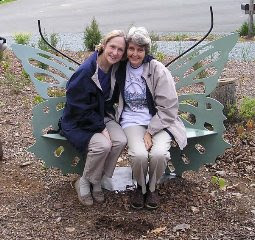 Louise loved gardens and butterflies. Gardens grow from seeds and butterflies are nourished by them for their short lifespan of only a few weeks. They are a reminder of how precious life is. Our lives flutter by so quickly. May Louise’s passing and every glance at a garden remind me to take time for what I would list as the priorities of my life. To sow and cultivate more time in The Garden where God has always walked with His people ... and to sow more of my time into the lives of the people I love, so when I pass from this earthly home, I will leave behind enough memories for them to “fill the gap” with blossoms of what I have planted. Thank you, Louise, for your faithful belief in God’s Word and His power to change us, uphold us, nourish us with His love, bathe us in peace and joy, and provide us grace enough for any of life’s circumstances. Farewell for now, my garden and butterfly friend. I will see you in every butterfly I gaze upon until we get to meet again in The Garden. Love and prayers to Charlie as well as those who loved her. Joyous in the presence of God, Louise is heavenly happy. An absolutely beautiful tribute to a wonderful lady. Louise was special, with a ministry that touched innumerable people. In 1983 she became my mentor in natural health and introduced me to the "meat" (the strong teachings) of God's Word. That's when I started my natural health business, with her guidance. I am an ordained minister today, largely because of what she taught me, doing my part to continue what she started. She is totally healed, totally happy, in that indescribably beautiful place called Heaven in the Bible. Let's all pray for her two living children and for her beloved husband Charlie. Louise meant the world to me. I am thinking of Charlie often as he deals with the loss of one absolutely amazing lady. My life is better for having known her. Louise is the one that really got me intriqued about natural health remedies and the power of God's word. She and Charlie both were a very calming island for us as we went through some very troubling times. The books she picked for us were always right on. Her encouragement was immeasurable and much appreciated. We have traveled the world together with both Charlie and Louise. They both have left a big impression in our hearts. They have been both friends and business associates over the years. My prayers go for Charlie and how he can get a hold of God's new plan for his life. I count it a privilege to have known Louise and still have the opportunity to know Charlie even more. What a beautiful description of one of the most unique ladies I've ever known. I love the way she spoke softly and slowly, always having time for you. I'm sure she and my Mother are fellowshiping together around the throne. Charlie, one thing I know from experience is that Jesus our Lord will fill your every need as He walks through this time with you. In reality He is the only one that will never leave you. You will know Him in ways you never have before. HE IS AN AWESOME GOD!